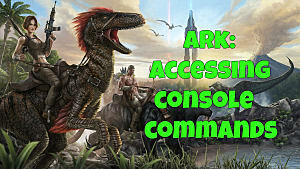 While ARK's Scorched Earth DLC update offers a new desert-themed area with extra dinos and equipment, we all know what you really want is to tame one of those ultra rad wyverns and fly around above all the peons below! Taming your own wyvern requires some serious setup to get done right, as the egg incubation period takes several in-game days and lots of fuel for either campfires or air conditioners. 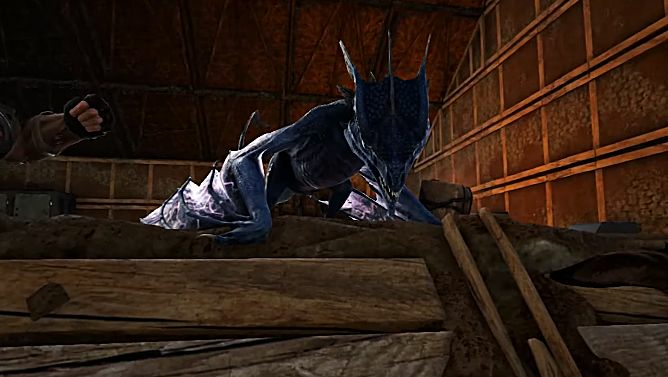 There' currently no way to tame a live, adult wyvern. 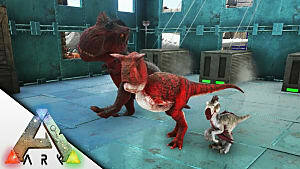 Instead, you have to grab an egg and raise a wyvern from birth in order to tame one of these majestic airborne beasts. 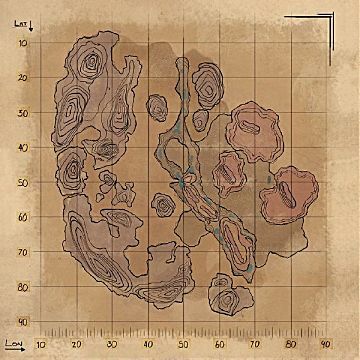 The area you are looking for is called the World Scar and is located at 75 Latitude, 25 Longitude. You'll know you are at the right place when you see the glowing red river and black columns. 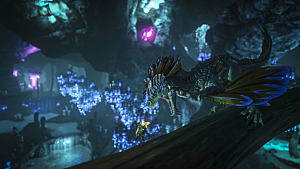 All along the left and right side of the canyon are hollowed out areas, most of which are empty, but some contain nests that spawn wyvern eggs. While there are potentially eggs across the entire ravine, one place you can consistently find eggs is in the wall hollows between the two land bridges at the center of the lava river. Getting there by foot might be possible, but is probably more hassle than its worth. 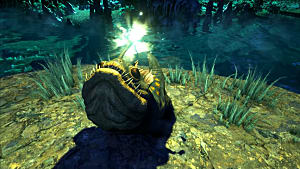 A better way is to take any tamed flying dino and find a break in the wyvern flights to grab an egg and flee quickly. As soon as you pick one up, all the wyverns close by will close in to attack, so come prepared! 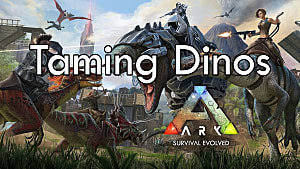 A fast escape route on a speedy dinosaur is a good idea, but if that's not an option you can always try making some rocket homing missiles if you've hit level 75 already. 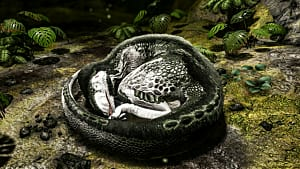 There are three different types of eggs you can come across: Poison, Fire, and Lightning, each yielding a different baby wyvern. 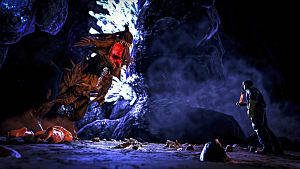 The eggs also come in various levels, so if you are able to fly through the lava river area without getting mobbed by wyverns, look for one that's a higher starting level. 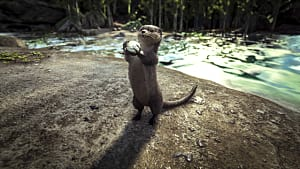 Alright, so you've stolen your egg and don't plan on making an omelet, so what do you do now? Eggs need heat – lots of heat – in order to hatch. During a normal day time scenario where there isn't a sudden cold event, either 15 campfires or around 10 – 11 air conditioners typically do the trick. 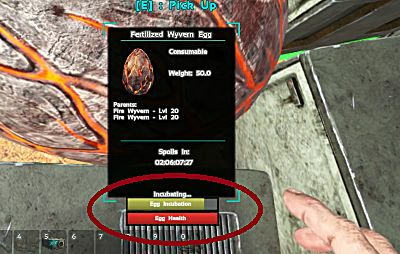 Place your egg in the center (be sure to drop the egg and not select “use” in the inventory or you will accidentally eat your egg! ), and when you hit the correct temperature the egg will display an “incubating” flag. You will want to place extra heat sources though to turn on during the night when the temp drops. Check the “Incubation” bar at the bottom and it will show you how much progress it has towards hatching. Because it takes so long for an egg to hatch, you will need to be ready with plenty of supplies in a defensible position ahead of time, as you don't want to leave your egg unattended. Once the massively long incubation process comes to a close and your wyvern hatches, it has to be fed wyvern milk – which means going back to the World Scar area. 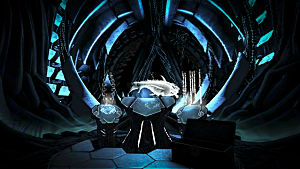 Wyvern milk is harvested from unconscious female wyvern specimens or dead alpha wyverns. You need to get this back to your baby quickly, however, as wyvern milk spoils just as fast as any other food item in Scorched Earth. A brand new baby wyvern! That's all you need to know to get your very own wyvern pal. 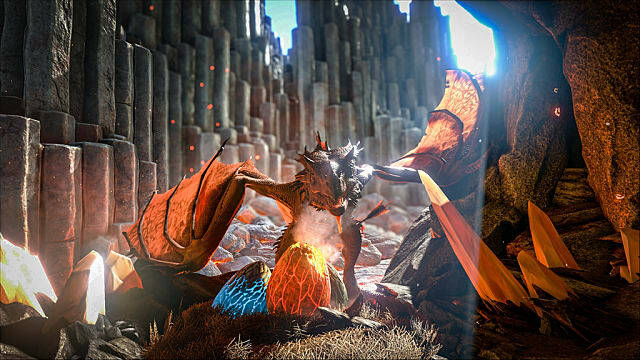 Let us know when you manage to hatch a wyvern and if you found eggs in any other locations on the Scorched Earth DLC map!